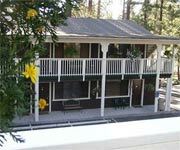 Lake Tahoe golf packages give you the game as well as lodging in which to rest when you're not playing golf. 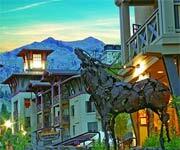 The Resort at Squaw Creek: Settle in for some blissful comfort at The Resort at Squaw Creek. Among Lake Tahoe golf packages, the one that this hotel offers just might take the cake because you get to stay at a AAA Four Diamond resort. Now how does that sound to you? When you stay here, you'll get to experience the rush of whacking a golf ball at 6,200 feet elevation. After your game, head to Sandy's Pub or Oasis Pool Bar with your $25 credit (per person) and eat like a beast. 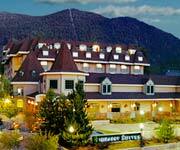 Embassy Suites Hotel Lake Tahoe Resort: The green awaits you at the Embassy Suites Hotel. Practice your swing and get ready for a great game when you book the Golf the High Sierra Package. This sweet deal gives you a spacious two-room suite in which you can prepare your mind for the fun and challenge of the game. Once you're rested, you can fuel yourself with a complimentary cooked-to-order breakfast. After that, you can hit your chosen golf course out of 30 options! 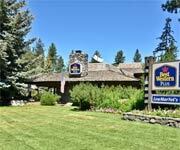 The best golf packages in Lake Tahoe give you the comfiest accommodations in which to relax after a perfect day of golf. 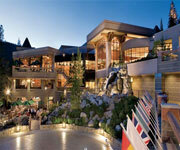 Horizon Casino Resort Lake Tahoe: Expect the golf package to fit your specific needs. At Horizon Casino Resort Lake Tahoe, you can customize your golf resort package so that you can have the room type you want, as well as the tee times you desire and the altered prices to reflect your unique golf resort package. While you play your golf game on one of the nation's 50 best public access golf courses, you'll feel like a real pro. Enjoy the experience of playing where the American Century Golf Championship is also held. 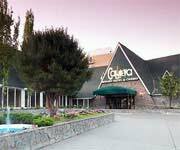 Cal Neva Lodge and Casino: Among the best golf packages in Lake Tahoe, the one available from Cal Neva gives you a home base at the resort and your choice of a golf course to play at from among 30 area courses. You can travel with a group as huge as 200 people and enjoy a customized vacation package for the whole bunch. You'll enjoy the convenience of being able to make tee time reservations as early as 90 days in advance too. Lake Tahoe golf packages get you playing the game of your dreams. Be like Tiger Woods and feel like a champion on the green. Then come home to your hotel room and unwind, thinking and dreaming about all your pro moves on the golf course that day. Lake Tahoe hotels with golf packages encourage you to stay but also play so that you can have time to rest as well as time to do your best. The golf game awaits you whenever you're ready to get on the green. 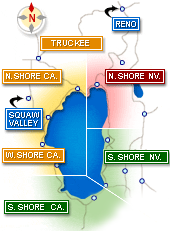 Lake Tahoe golf resorts make it super convenient for you to play the sport. You might as well take advantage of the best golf packages in Lake Tahoe if you're planning to golf as well as stay in a hotel in Lake Tahoe. Make it a good game with plenty of rest at your hotel accommodations beforehand. After your game, you can come back to the sweetest, plushest bedding and comforting amenities all around you in your room. The best golf packages in Lake Tahoe give you a taste of the finer things in life: namely, golf and comfortable lodging. 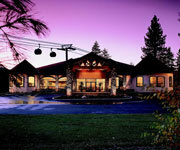 The best golf packages in Lake Tahoe make it easy for your group to play golf and stay nearby. 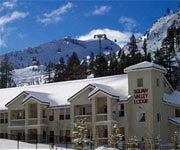 You might as well stay at a resort that's offering the best golf packages in Lake Tahoe, so that you can get in on the sweetest deals. Even if you have a group as large as 200 people, Cal Neva Lodge and Casino can accommodate this number. Play golf games and stay in the same area by all enjoying rooms at the lodge. The best golf packages in Lake Tahoe allow you to reserve your tee time of choice when you reserve a room here. Lake Tahoe hotels with golf packages allow you to keep your game a top priority while you're vacationing. Skill only stays at an expert level with regular practice, and staying at one of these grand establishments will give you the opportunity to live and breathe golf. Fun outdoor activities in Lake Tahoe give you exercise to complement your fitness achieved through golf. If you've spent a considerable amount of time on land and you're ready to get on the water, check out this list of North Tahoe watersports.